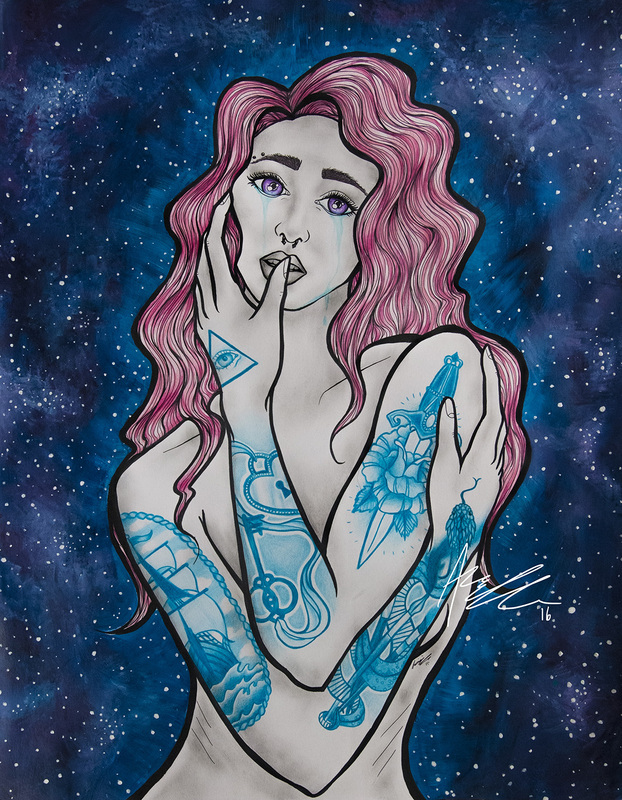 24″ x 36″ – Acrylic, Sharpie, Pencil, Pencil Crayon. I started this piece during a difficult breakup in my life, and continued to add tattoos to it every time something weighed on my mind. It was very significant through this period of my life, and served as a form of calm in the chaos. I was equally sad and proud to see it completed.